Surprise! I have a new book! Well, booklet, anyway. 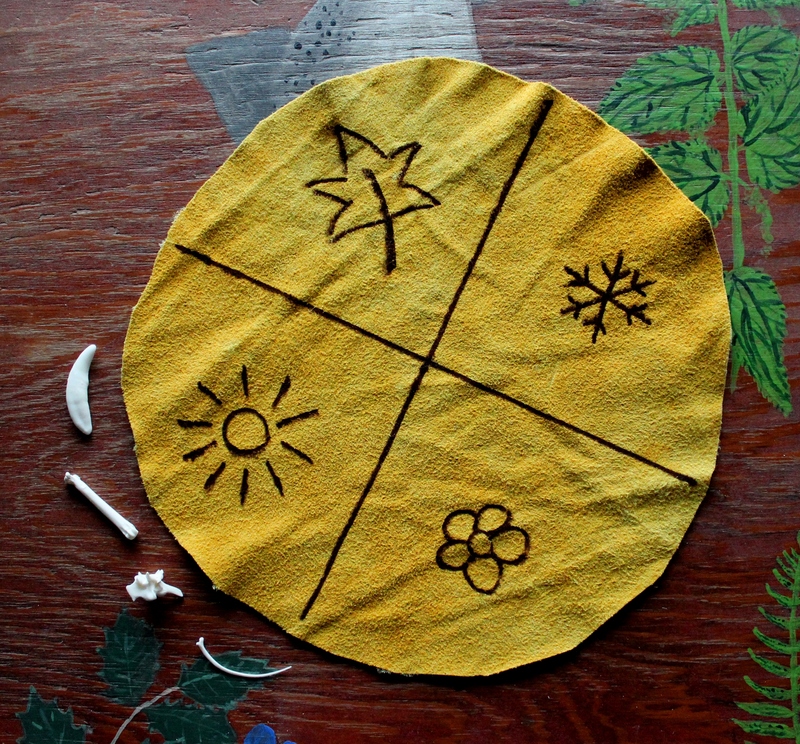 And there’s a nifty handmade divination set with it, too! 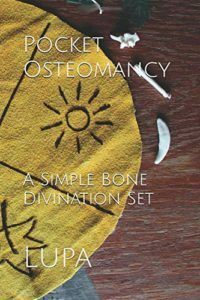 Pocket Osteomancy is a bone divination system that I created based loosely on the Minor Arcana of the Tarot of Bones. It’s a bone casting method using a casting cloth divided into four quadrants. I first released it to some of my Patrons on Patreon last year so that they could try it out, but they only had a single instruction sheet to work with. Now I’ve fleshed that out into a 24-page booklet available as a paperback or ebook, and you can purchase the casting cloth and bones as well! Divination with bones doesn’t have to be complicated! Pocket Osteomancy: A Simple Bone Divination Set is a simple but effective system for using animal bones to focus your intuition and explore possibilities in your present and future. It’s great for both beginners who may feel intimidated by more complex systems, and also provides a basic structure for more experienced practitioners to build on and explore. I’ve ordered paperbacks and they should be here within the next week to week and a half, so you can go ahead and place your orders now. I will fill ALL orders once the paperbacks have arrived. 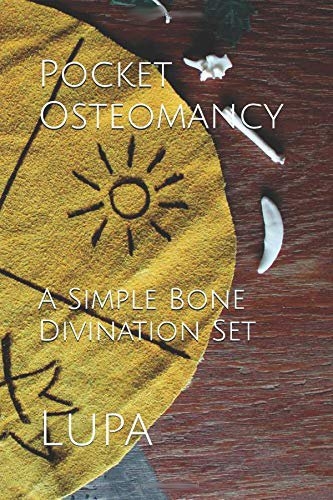 You can make your purchase here at http://www.thegreenwolf.com/pocket-osteomancy/.